PM: Where are the buyers? It was a dramatic close on Friday. We went from flat to down 1.4% in the last three-hours with losses accelerating into the close. It was a 2% plunge from the morning highs and reminiscent of last Wednesday’s selloff. Volume was above average between end of the month window-dressing and stops getting triggered as the selloff picked up speed. Buying opportunity or continuation of last week’s selloff? You’ll get different answers depending on who you talk to. On the surface this looks like the selloff everyone’s been talking about and waiting for, but since when does the market do what everyone expects? Clearly price has been on the bear’s side as we slipped nearly 60-points from recent highs. This market rallied 150-points over five-weeks and everyone knows that is too-far, too-fast, so this correction is long overdue. Hard to argue with the logic and subsequent price-action, but I’ll try. This was a boring, holiday-week where the market hardly moved. Trading floors were lightly staffed going into Friday’s close as those that actually worked this week cut out early. Why stick around when nothing is happening, you are not going to buy anything, and automatic stop-losses will cover you incase the market breaks down? Junior traders and computers have the authority to sell when the prices cross stops, but are not allowed to initiate new or add to existing positions. This leads to moves like today’s close where stop-losses get triggered and no one is left to buy the dip. There was no real news to justify the afternoon selling and it was simply a structural due to a cascade of stops getting triggered. But we don’t have to speculate for very long. If this was simply a matter of lightly staffed trading floors and auto-pilot selling, the market will effortlessly rebound next week. If selling continues, there is more to this and the crowd might actually be right this time. No matter what people say, we are still in a bull market and the odds are better trading with the trend than against it. A day and swing-trader can take advantage of this volatility, but take profits quickly when going against the trend. 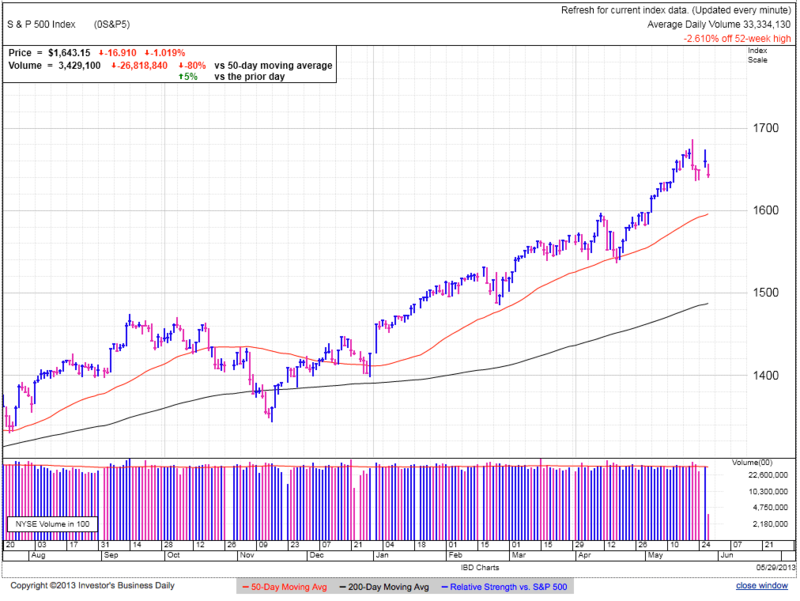 The uptrend remains intact even if we fall to 1600 and the 50dma and a bounce anytime between here and there is buyable. If we fail to find support and continue under 1600 then we have to reevaluate our bullish thesis. Every rally comes to a painful end and this one will be no different. It is premature to call a top, but failing to make new highs and violating key support at 1600 shows buyers are scarce and further selling is likely. Assume the market will bounce until proven otherwise. Shorts should be taking profits, not initiating new positions. Any rebound is buyable with a tight stop under the bounce’s low. 1600 is the key support and failing to hold this will force us to reevaluate our outlook. 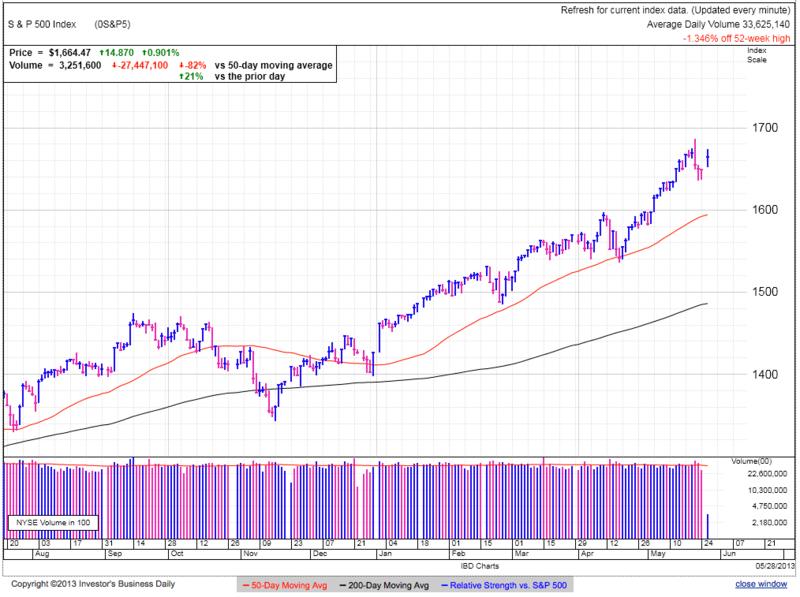 AAPL finished modestly in the red and is still solidly above the 50dma and $440 support. I’m not sure how much upside there is but the stock acts like it wants to go higher in the near-term. GLD had a poor close as the volatile trade continues. It is not behaving like the lows are in and expect further declines in the near future. Once upon a time gold would surge on market uncertainty, but it quickly shifted from safety to speculation and gets lumped in with every other asset dumped when people hit the panic button. 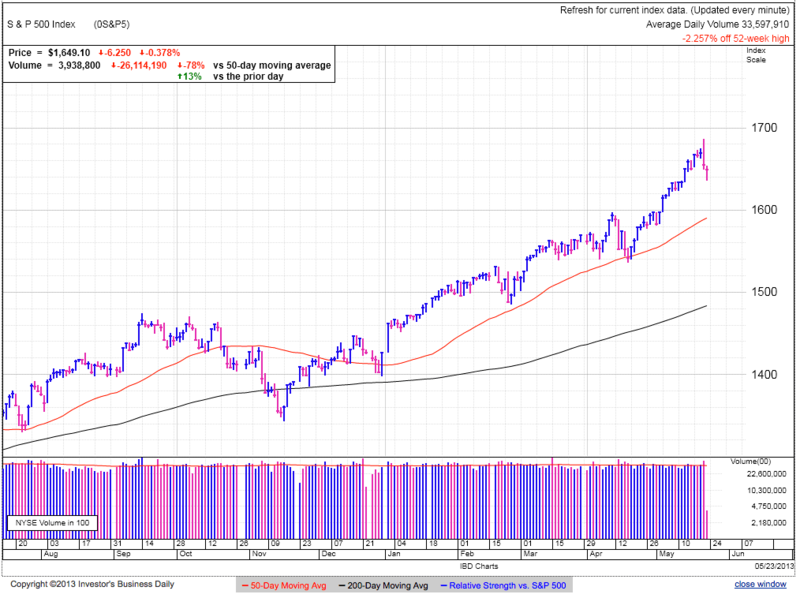 The sideways trade continues as the market bounces around break-even this morning. The window for a panic driven crash came and went. We had one dramatic down-day last week, but trade has been unremarkable, even boring since then. Traders are an opinionated bunch and we all think the market is either undervalued or overvalued, that’s just how we are wired. But reality is the market trades sideways far more often than it breaks out or breaks down. No one wants to listen to an analyst say this will be a boring, quiet, and dull summer. We want promises of drama and excitement. We want horses to bet on. But what we want and what we get are often different things. Bears are right when they say the current rate of gains is unsustainable, but they are wrong when they claim we need to pullback from these overbought levels. Sideways trade is another tool markets use to rest and refresh. This is exactly what happened in March and April and it could easily happen here to0. Don’t despair, there are plenty of ways to profit from sideways markets, we just need to use different tools. Instead of buying breakouts and selling breakdowns, we buy weakness and sell strength. Selling options is another effective tool for savvy and experienced derivative traders to profit from time-decay. Staying in a tight range following the “obvious” top last Wednesday means that selloff is dead and buried. Everyone who wanted to sell, or could be scared out of the market, sold days ago and there is very little supply left to shake out of the market. We can still selloff, but it will take all new and unexpectedly bad news to drive that weakness. This market already decided it no longer fears recycled headlines about QE ending or any of the other concerns constantly circulated by the financial press and bears. Market go up, down, or sideways. The stalled selloff shows there is little potential for greater declines, so that is the least likely outcome. That doesn’t mean impossible, just less likely than the other two possibilities. The recent rate of gains have been impressive and common sense tells us they cannot continue indefinitely. Markets rally in steps and our step from 1550 to 1650 was a good one. Another short squeeze could continue the drive higher, but the most likely outcome is the one on one is talking about, trading sideways for the remainder of the summer. The longer we hold these levels, the less likely a panic driven selloff becomes. But less likely is not the same as impossible. The most important part of sustainable success in the markets is good defense. No matter how we feel about the market and our positions, guarding our profits is always our top priority. Look for a series of lower-highs and violating support to show buying is drying up and we need to get out. Buy weakness and sell strength until the market shows it is ready for the next directional move. The current range is 1635 to 1675 and swing-trade around these levels. More meaningful support and resistance is 1600 and 1700. Penetrating either of these indicates the market is ready for its next directional move. 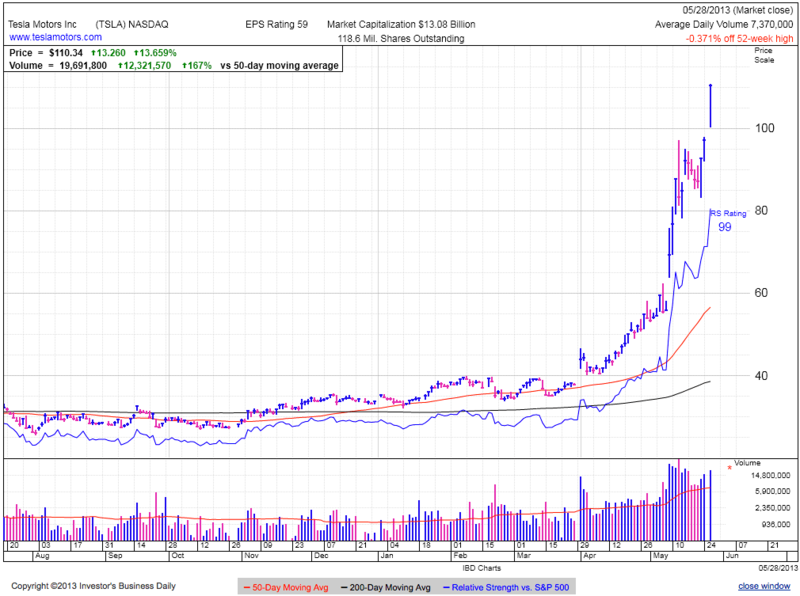 Much like the rest of the market AAPL is trading sideways and consolidating. It is encouraging to see selling take a break and buyers actually continue buying these levels. In reality the sideway trade stretches back to January and many of the weak holders and hope left the stock over this stretch. The real test will be breaking and holding the previous high of $465. This will be the first higher-high since last September and will be a major development of the recovery. Failing to do this likely means the lows are not in yet. GLD continues its volatile trade. Today’s selloff is giving back most of yesterday’s pop. No doubt hedge funds are scrambling between AAPL, GLD, and now the over crowded and plunging Nikkei/Yen trade. Hedge funds are supposed to be smart money, but their results beg to differ. Stocks settled down following last Wednesday’s massive reversal. While we’ve witnessed intraday volatility, closes have all been within 6-points of where the selloff dumped us. It certainly doesn’t feel like it, but the market has been stuck in a trading range between 1635 and 1675 for over two-weeks. Stability so quickly following an alarming selloff is a big red flag for bears. Everyone knows the market came too far, too fast and is grossly overbought, but why didn’t we continue imploding following the obvious top last? Bears will mumble something about irrational exuberance, gullible dip-buyers, complacency, or some other bearish buzzword, but the truth is far simpler than that, the plunge abruptly ended because we ran out of sellers. When traders expect something, they trade ahead of it. If the crowd anticipates a pullback, they take profits and short the market, they don’t stick around and wait for floor to fall out from underneath them. When people share a similar outlook and sell proactively, they take supply out of the market, leaving fewer to actually sell the breakdown. Why this stability is a warning flag for bears is it shows there are no sellers left. 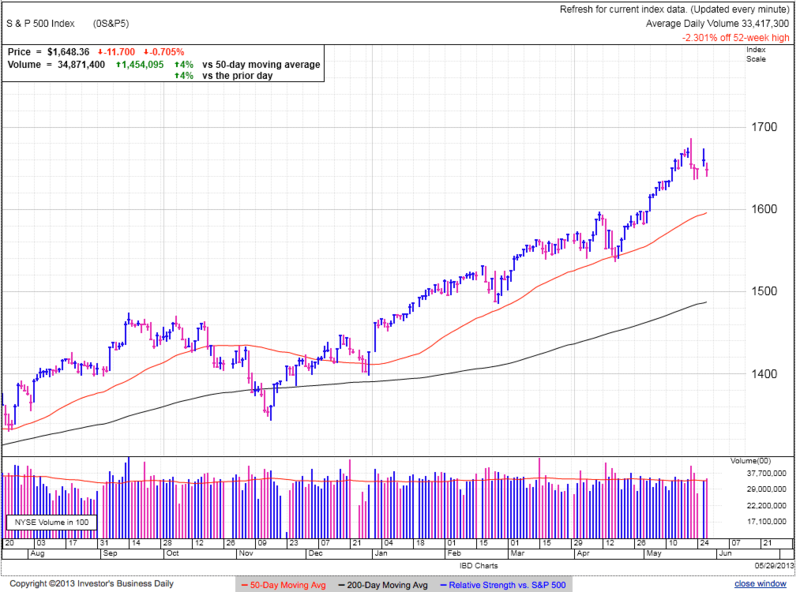 The few sellers left leading up to Wednesday’s reversal all bailed out in the subsequent down days Everyone who continued holding through the obvious top or confidently bought the dip is not going to flinch at a little more weakness. Their willingness to hold steady keeps supply tight and there is nowhere for the market to go but up. There is nothing wrong with making an aggressive trade, but we must pull the plug when it doesn’t work as expected. There was a strong case for a wider correction, but when it didn’t happen as expected, we have to reevaluate our assumptions. It is okay to be wrong, it is fatal to stay wrong. The market had the perfect setup to selloff, yet here we stand practically flat for the fifth day in a row. This strength and stability proves the market is not willing to give everyone the selloff they are waiting and hoping for. The rate of recent gains cannot continue indefinitely so consolidation and sideways trade here is normal and expected. The best way to know the market is ready to breakdown is to see it breakdown. Rallies always end and this one is no different. 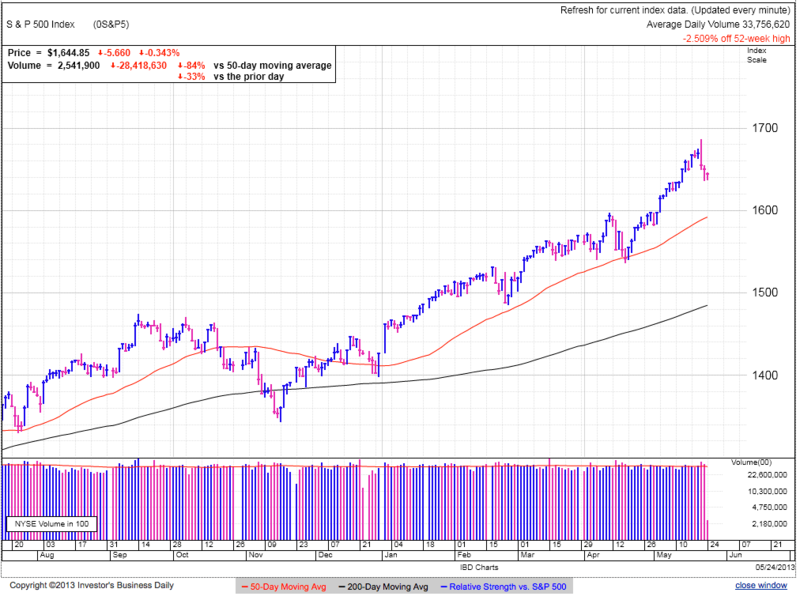 A series of lower-highs and violating support shows buying is drying up and the inevitable pullback is taking hold. Everyone wants to trade breakouts and breakdowns, but the truth is the most frequent move is sideways. Recent support shows the market doesn’t want to breakdown and continued gains at the previous pace is unsustainable. Until the market proves it is ready for the next leg higher or lower, assume we are in a trading range and buy weakness and sell strength. Near-term levels to watch and trade are 1635 and 1675. More significant levels signaling a potential continuation or breakdown are 1600 and 1700. The zig-zag continues as we rebound from yesterday’s selloff. It’s becoming clear neither side has control over this market as each directional move stalls and reverses. Markets only rise and fall when people buy and sell stocks, and people only buy or sell stocks when they change their mind. Right now bulls are confident in their positions, bears know we are over-valued, and everyone is waiting for the market to do what they think it should. When everyone stands around, markets trade sideways because no one is changing their mind. To get things moving again we need to spook bulls out of their positions or make bears fear being left out of a risking market. Will this stubborn standoff continue through summer? Only time will tell. All this talk of QE ending is diminishing the impact of the actual announcement and eventual money tightening. Everyone remembers what a disaster Y2K was, right? While we can joke about it now, it was a serious matter at the time, but the reason it was a non-event is because everyone talked about it, feared it, and ultimately prepared for it. When everyone is adequately prepared for something, it passes without an issue. The more people talk about and fear the ending QE, the sooner we can ignore it. People trade their outlook and expectations. If traders fear the end of QE, they will move out of the market and that QE driven selling will be long behind us by the time it is actually announced. In fact it will likely lead to a sell the rumor, buy the news event. How crazy will it be if markets rally on the ending of QE? Crazy enough to work. Until one side changes its mind, expect stocks to trade sideways as both bulls and bears stubbornly stick to their outlook. The market is incapable of standing perfectly still, so expect some up and down gyrations, but this is a swing-trader’s paradise; buy weakness and sell strength. No one knows what the market will do and we simply trade probabilities. To protect ourselves we will watch for breakouts or breakdowns that show the market is ready for its next directional move. Markets move sideways most of the time and that is what we should expect here. We need a rest after a strong directional move and the widespread expectation of a pullback mean mutes the downside risk. At this point, plan on buying weakness and selling strength until we make a decisive break either direction. Lower support is back at 1600 and sticking with round numbers, expect 1700 to act as overhead resistance. Breaking either of these levels forces us to evaluate the potential of a new directional move. Stocks gave back yesterday’s gains, but stayed above recent lows at 1635. Volume was modestly higher and greater than Tuesday’s bounce. Last week’s obvious breakdown ended in a short-squeeze on Tuesday, that ended in a retreat back to the lows today. In spite of all the drama and excitement, the market simply traded sideways the last two-weeks. Both bulls and bears are beating their chest and convinced the market is clearly on their side. While it is easy to find bulls and bears, where are the ones saying we will settle into a trading for the rest of the summer? Why is that not a possibility people are considering, especially since the market goes sideways far more often than it goes up or down? Everyone expects the market to breakdown after such a strong run, but people trade their outlook, meaning most of the cautious are already out of the market. Declines in six of the last nine sessions also cleared most of the weak owners and replaced them with confident buyers willing to hold in the face of this uncertainty. This market had every chance to break wide-open but here we stand, just 2% from all-time highs. Between the recent selling and pervasive negative outlook, further selling seems unlikely since most have already sold. The key to understanding the market is not found in charts, economic reports, or complex formulas, but understanding what other traders think, how they are positioned, and what moves they have available to them. Recent selling is more bullish than bearish because it is building the next pool of buyers. From a pure contrarian viewpoint a trading range seems the most likely outcome because no one is talking about it, but that is not unusual. Most traders are opinionated by nature and expect the market to move one way or the other. Stepping higher is the next most likely outcome due to the recent wave of selling and pervasive negativity. And finally collapsing is least likely because it is the obvious trade everyone is waiting for. Markets work exclusively on supply and demand. It makes no difference what anyone thinks or how they are positioned, if we run out of buyers there is nowhere to go but down. The uptrend is not broken yet, but we need to watch for real signs of weakness and get out before everyone else. Lower-highs and violating major support shows the widely expected selloff is finally upon us. 1635 is the level to watch. As long as we hold it, the market remains buyable. Violating this level makes us more cautious, but the more meaningful support is at 1600. Since the market is entering a consolidation following recent gains, the best profits will come from swing-trading weakness and strength. Today’s trade is a mirror image of yesterdays. We gapped lower at the open, selling continued until it found a floor by mid-morning, and rebounded into midday trade. 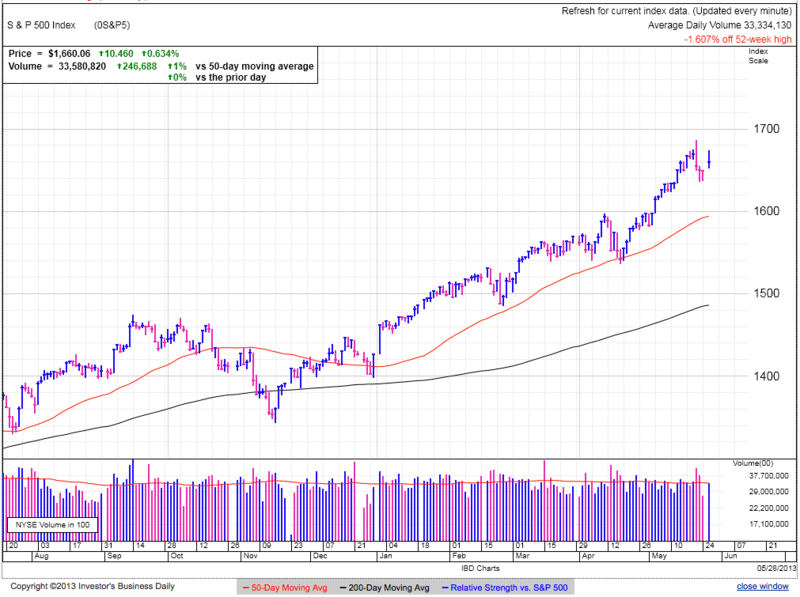 After a large directional move through most of May, it is normal to consolidate those gains. 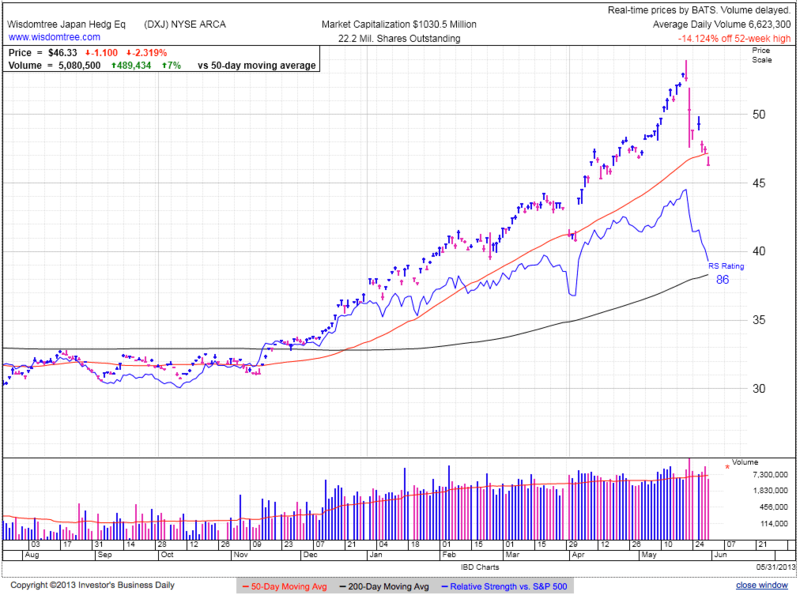 At this point there are no indication recent weakness is anything more worrisome than typical consolidation. Today is another obvious short entry for the doubters and bears. I am sympathetic to their point of view given how long and far this market came without pausing, but doubting this rally is still the popular thing to do and is why more upside remains. Recent volatility is shaking out weak holders and late buyers, as well as seducing bears to go short. The problem is much of this selling is already behind us. When everyone expects something nasty, they are either already out, or act quickly when they see the first cracks. Their trigger finger lead to last week’s stunning 2% intraday reversal. Even bulls are afraid of this market and are waiting for a pullback before buying more. We must not confuse trend with sentiment. Just because the trend is higher doesn’t mean the market is overly-bullish. In fact the reason the market keeps going higher is because it was overly-bearish and there was an ample supply of traders out of the market available to chase it higher. At some point we will run out of buyers, but the supply remains plentiful as long as people keep doubting the sustainability of this market. The trend is strongly higher, but we are still not overly-bullish. Rallies take breaks and after four-weeks of nearly straight up, this one is entitled to some rest and relaxation. There is no reason to jump on the bear bandwagon just because we are not going higher every single day. There is a time and a place to be bearish, but a couple percent from all time highs is a tad premature. We don’t need to own this market here and the cautious can wait for the next high probability trade, but until proven otherwise assume the rally remains intact and dips are still buyable. “Sell in May” is quickly running out of time and expect similar strength to cary through summer. This rally will breakdown just like all the ones before it. No one know when or where, so we must keep a careful eye on it and look for material violations of the up trend. 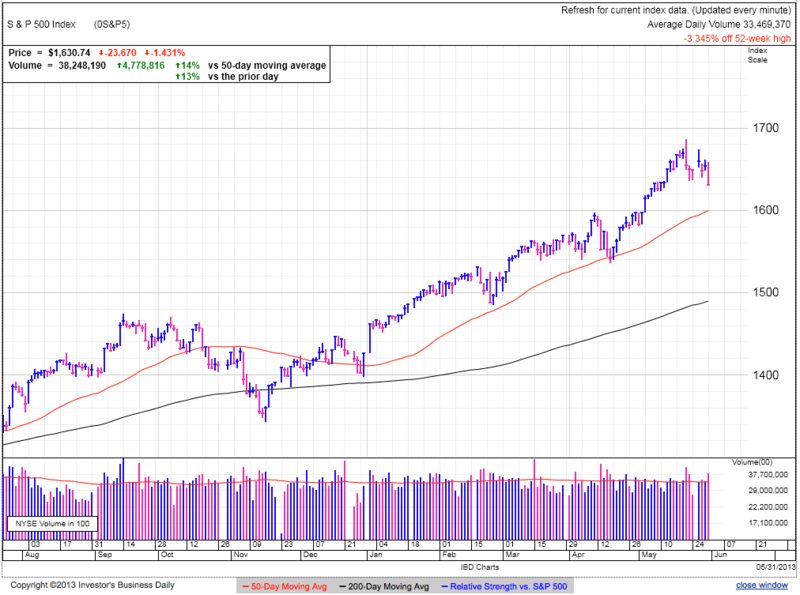 Failing to make higher-highs and breaking support are signs buyers are no longer standing behind this market and the widely expected pullback is finally here. Last week’s bounce is still intact as long as we continue holding 1635 and this is a reasonable stop for aggressive dip buyers. More meaningful support is back at 1600 and the 50dma. Break these levels and we have to question the viability of the rally. Bouncing off this level creates another attractive dip-buying opportunity. After such a strong move, look for more sideways trade here and be willing to buy weakness and sell strength as the mare consolidates recent gains. 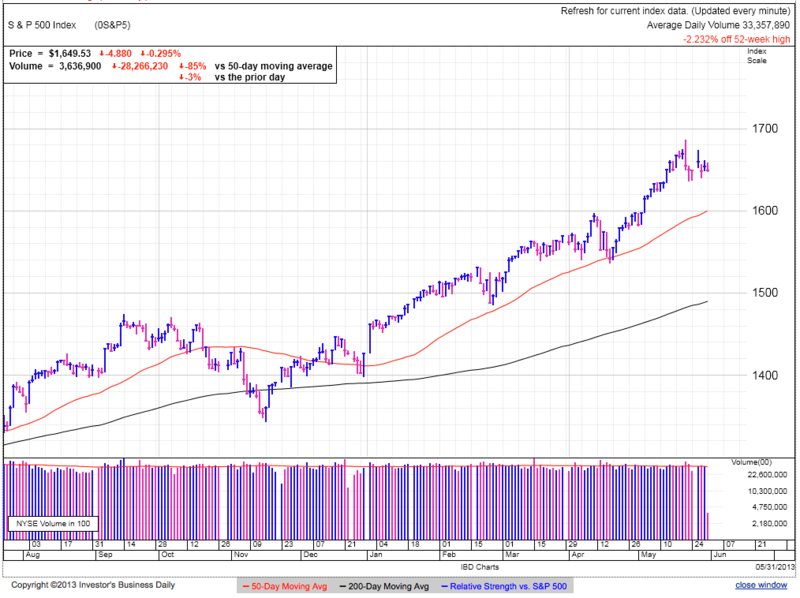 AAPL is still holding the 50dma, but failing to continue the rebound. The longer we maintain these levels, the more meaningful this support level becomes, but this is a double-edged sword. It shows big money is buying shares at these levels, but it also means a large pile of stop-losses are accumulating under this widely followed technical level. A dip under support could trigger another wave of selling. In an interview yesterday Cook talked about the potential of wearable technology, but also the hurdles. Without a doubt there is a market for a smart-watch, but realistically it will be the modern equivalent of the calculator watch. Smartphones have largely displaced wristwatches as timepieces, but watches remain popular as pieces of jewelry. The biggest opportunity for a smart-watch is not some geeky piece of hardware, but for existing jewelry watches to incorporate smart displays showing text messages and caller ID. Cook pooh-poohed Google Glass, and I agree the technology is premature, but if we look out 20-years from now what will be the preferred method of interacting with our devices? Will it be a pack-of-cards sized device in our pocket? A one-inch display on our wrist? Or a virtual reality display that supplements our existing view of the world? Fighter pilots already use HUDs extensively because of the ease of displaying complex information and some future iteration of Google Glass is clearly the way of the future. GOOG is still at least 5-years ahead of the curve on this and it is not a reason to own the stock, but they will be the best poised to exploit this technology when it becomes viable. Speculators are losing their stomach for speculative names like LNKD and NFLX. It is best to sell momentum stocks into strength because the floor falls out from under them quickly. I don’t think the top is in for either of these companies, but they will feel the weight of market uncertainty over the near-term. Once the rally resumes, look for new highs. Remember, buy low, sell high. Stocks bounced after three-days of selling. Volume was average, but respectable following a three-day weekend. A large chunk of Tuesday’s buying was driven by short covering as aggressive bears were forced to buy stock when the market bounced. Short covering climaxed mid-morning and we retreated from the daily highs when follow-on buying failed to materialize. The rally is sustainable if buyers remain nervous and hesitant, but is in trouble if we can’t find buyers because everyone is already in. I posted Yahoo Finance surveys before and for the most part they were overwhelmingly bearish. Today’s survey is the first cautiously bullish one I’ve seen in a while. 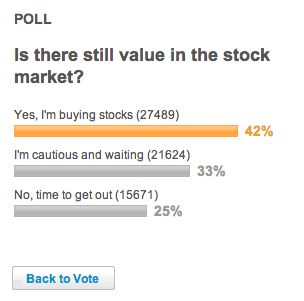 It shows 42% are buying stocks, but the majority, 58%, remain wary of this market. If we are concerned about overly bullish markets, we are not there yet, but the recent rally continues eroding doubt and fear. Success doesn’t come from always being right, but recognizing and fixing mistakes early. We can recover and even make money if we change sides soon after our original thesis proves invalid. We lose a little initially, but after recognizing our mistake and updating our outlook, we start profiting from new information. I grew cautious as we pushed to new highs in March and was bearish in April. On April 18th when the market failed to break wide-open as expected, I was forced to throw my original thesis out the window because the bounce invalidated everything I believed. It took a couple of days to work up the courage to buy the market in the 1570s, but that was the right call given the way the market was behaving. It is okay to be wrong, but it is fatal to stay wrong. Bears will use the retreat from the day’s highs to justify holding their shorts, but one thing is clear, downside momentum stalled and selling dried up. We cannot sustain the rate of gains seen over the last few weeks indefinitely and a pause here is expected and healthy, not bearish. Resist the seduction of “too far, too fast” and learn to trust embrace an easy and highly profitable rally. While the market looks good here, it is getting old and we need to prepare for the inevitable correction. The higher these things go the harder they fall. Signs we are running out of buyers is stalling short of recent highs and breaking support. Until then stick with the rally. As long as this market holds recent support at 1635 it remains buyable/holdable. Shorter-term traders should use this as a trailing-stop. More material support is back at 1600 and the 50dma. Fail to hold either of these levels and the rally’s viability is in doubt. AAPL lost ground, but is still above $440 and the 50dma. It struggles finding buyers willing to push the stock higher, but these same buyers are willing to step in and prevent a further slide. Support here is half-full/half-empty for bulls. On one hand the stock is attracting value buyers willing to put a floor under $440, on the other it is attracting value buyers unwilling to buy above $440. The increased dividend opens the stock up to a wider pool of income investors, but these buyers are notoriously price sensitive and will not push the price up the way growth investors do. There is room to swing-trade this name, but the days of easy buy-and-hold gains are behind us. GLD is stuck in the lower $130s as the supply of dip-buyers is drying up and new lows seem likely. Everyone who wants Gold already has some and it will be a challenge to attract new buyers at current levels. TSLA annihilated shorts yet again. The market can stay irrational longer than we can remain solvent and that is clearly the case here. Climax tops reverse quickly and the sideways trade over the last couple weeks showed the top was not in yet. At this point there is no trade because the only thing crazier than buying it at these levels is shorting it. 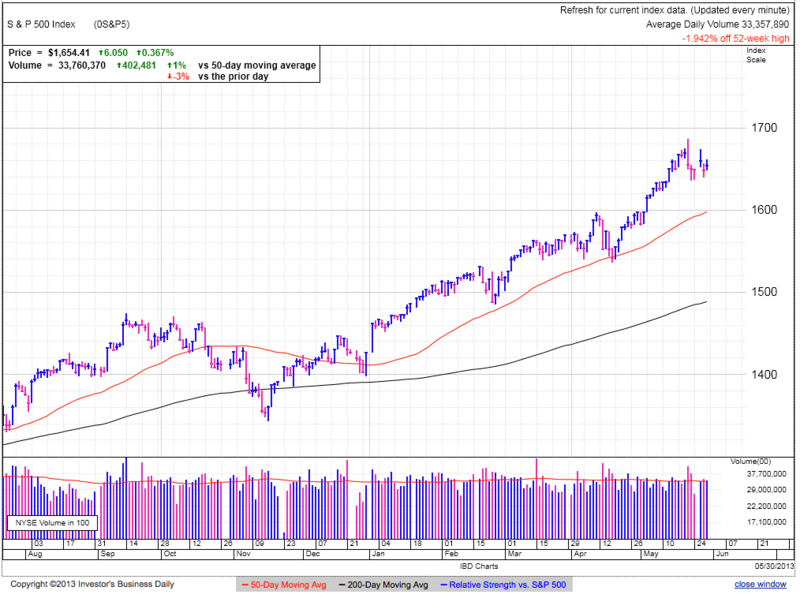 The market gapped higher at the open and continued up to 1674 before pulling back by midday. Another obvious top ends in a short-squeeze. When everyone says “this is it”, we know it isn’t. The selloff stalling Thursday and Friday showed the next move was higher and a time for shorts to take profits, not initiate new shorts. Wednesday’s frantic plunge on recycled headlines of QE ending never had a chance. What everyone knows and is talking about is already priced in. Once the initial knee-jerk selling ran its course, supply dried up, laying the foundation for today’s bounce. This market will top at some point, but it won’t be for any of the reasons people are constantly talking about. Most of the nervous jumped ship last week and shorts piled on the weakness. All that selling took the excess supply out of the market. Buyers stepping in front of the volatility demonstrated comfort holding here and are less likely to sell modest weakness or headline fear-mongering. Their confidence and resolve will return stability to the market. The selloff stalling on Thursday and Friday was the sign we could buy the dip and was a poor place to add shorts. Today’s bounce could be nothing more than short-lived dip-buying prior to the next leg lower. While it seems less likely, we must defend against it. It is okay to be wrong, but it is fatal to stay wrong. We found support at 1635 and breaking this level shows the selling is not done. Every rally ends and so will this one. Maybe we will see it coming, or maybe it will catch us by surprise, but stops will protect us either way. Owning the market here with a stop under the recent dip to 1635 is reasonable trade given how the market is acting, but this rally is elderly and we need to watch for stalling. Failing to make new highs shows buying is drying up and that could finally lead to the widely expected selloff. 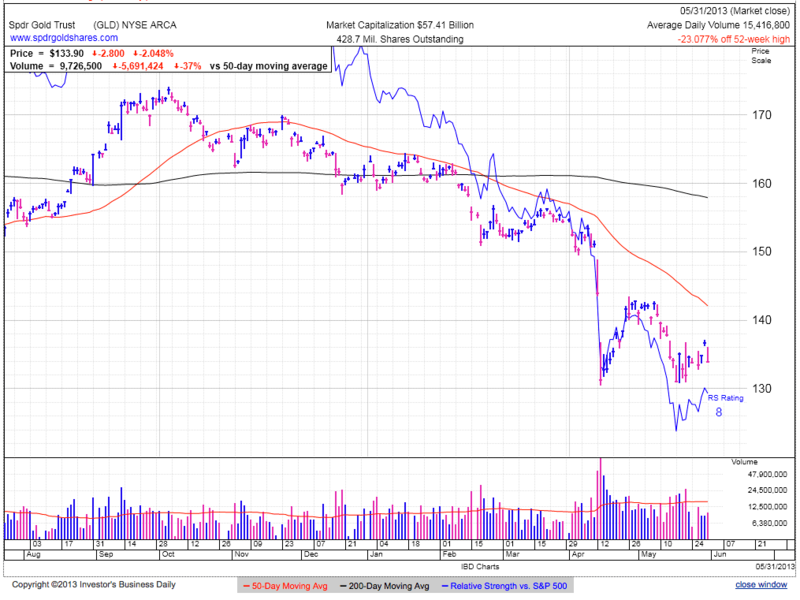 AAPL is down on a day when the market is higher, but the silver lining is it is still holding above the 50dma. The other notable technical development is the 50dma is heading higher for the first time since the selloff began, showing near-term prices have stabilized around the $430 level. Technical traders have stop-losses under the 50dma and $420. Selling could pick up if we break either of these levels, but so far the stock remains a cautious buy. 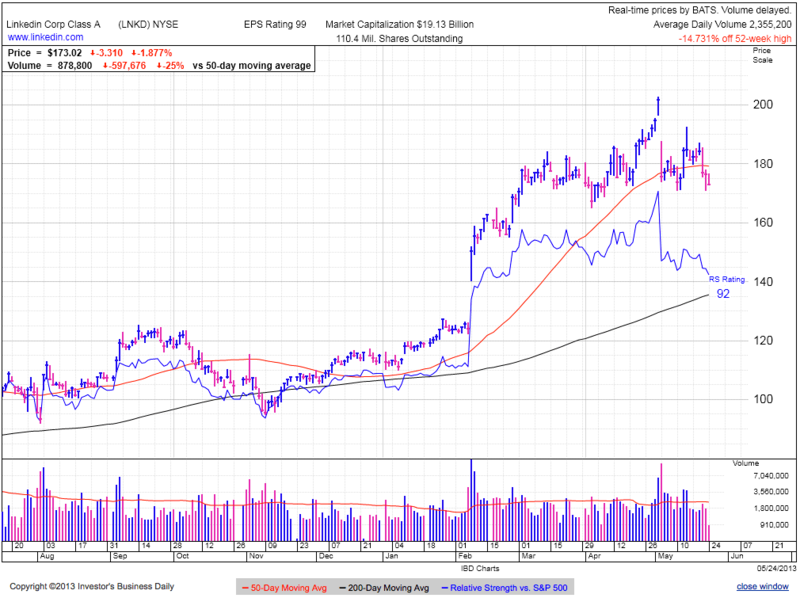 LNKD and NFLX are struggling amid the market uncertainty. Speculative stocks react to volatility and weakness far more than the market averages. The rewards are huge, but so are the risks. Everyone wants to hit home runs and hold the next monster stock for a 5x gains, but realistically we are better off taking profits after strong runs. Stocks opened modestly lower, but are stable as the selling is contained, at least for the moment. The market is quite because no one is doing anything. We ran out of new sellers, so we stopped falling. Prospective buyers are nervous and staying on the sidelines. And holders keep holding. All that adds up to a flat market, but this is good given the size of the reversal a couple of days ago and the turmoil in Japan. Spooked markets often succumbs to an emotional reaction of sell first, ask questions later. The sideways trade over the last two days gives people the opportunity to evaluate conditions and make deliberate and rational decisions. This is always good for market stability. We could slip a little more before this is all done, but contained selling today and on Monday means the rally is still strong and the dip is buyable. This turmoil is bullish because it flushed out many weak kneed traders, taking much of the supply out of the market. Those that bought in the face of this drama are more confident and willing to hold through further weakness, ironically making further weakness less likely. Dip buying can prop up a market for a couple of days, but without real money standing behind it, the slide will resume. Remain cautious around this market for the next couple days, but if we don’t breakdown soon, the selling exhausted itself. The next key to watch is how the market bounces. Stalling short of the previous high shows the supply of buyers is drying up and is finally creating an interesting shorting opportunity. Support above 1635 is encouraging and this stability is more conducive to a bounce than further selling. We don’t always need to have trades on, so if someone is nervous, take a break and wait for the next trade. It is easy to make money in the markets, the hard part is keeping it. Staying out of the market when we don’t feel comfortable is one of the best ways to stop giving back our hard-earned profits. A lot can happen over the weekend, but sanity is returning. Buying with a stop under 1635 is an interesting entry for those with an itchy trigger finger. AAPL continues holding the 50dma. This is a positive change in character as holders keep holding and buying is coming from more than just speculative dip-buyers. Personally I don’t think the bottom is in yet, but we trade what we are given and right now the stock is acting well. But remember this is a trading stock now, so buy weakness and sell strength. Recent volatility hit stocks like LNKD, AMZN, and NFLX. It shouldn’t surprise anyone high-beta, speculative trades fall the most during market uncertainty. Take profits and use stops to keep from giving back all those hard-earned gains. Stocks gapped lower at the open, but recovered a big chunk of the losses by midday. The Japanese market was slaughtered 7% overnight, but most of the panic tapered by the open in New York. It is encouraging to see our market find a floor following the impulsive rush of selling over the last 24-hours. This pause gives holders a chance to assess the situation and decide if new information materially affected their economic outlook. Yesterday’s selling was setoff by the Fed’s discussion of when and how to end monetary easing. Just the mention of trimming easy money triggered a selloff from paranoid holders and aggressive bears. But was this really news? Hardly, and is why the market found a floor after fear-based selling exhausted itself. Most owners already anticipate the end of QE and are holding based on the recovering economy, not money printing. This did nothing to change their views on the economic recovery and once the panic induced selling ran its course, supply dried up and we found a bottom. It is difficult to make money trading what everyone knows and expects because it is already priced in. Without a doubt this bull will end at some point, but it will not be because of the reasons people are currently talking about. An encouraging development for bulls is last 24-hours flushed the “QE-crash” crowd out of the market and this preemptive selling will make the eventual ending of QE less of a problem. A couple more scares like this and the end of QE will be fully priced in and could actually be the start of the next leg higher as all the QE bears are forced to chase the market higher. It is premature to say the weakness has ended and we could easily return to 1600. We came a long way over the last month and a consolidation here is expected, healthy, and part of a sustainable continuation. We could see more volatility in coming days, but as long as we hold 1600, the rally is still alive and well. We didn’t learn anything new yesterday and anxious traders were simply looking for an excuse to sell. Now the rally is in the hands of more deliberate and thoughtful holders. If they still believe in the economic recovery, expect them to continue holding and the rally will resume on this tight supply. The best way to know this market is breaking down is to see it actually breakdown. We could see a couple more days of selling, but every dip has been buyable and we should assume this one is too. We need to see a series of lower-highs and lower-lows before we can say this rally is ending. The rally remains intact, but there is no reason we need to sit through this volatility. We are in this to make money and can only do that by selling our winners. If anyone feels uneasy, take some profits and wait for the next trade. We violated trailing stops at 1650 and those defensive tools only work if we use them. Maybe this was only a 24-hour selloff and we were shaken out unnecessarily, but I would rather be out of the market wishing I was in, than in the market wishing I was out. Longer-term holders can keep stops at 1600, but they have more money at risk if this selloff continues. Reclaiming 1670 over the next couple days shows this was a false alarm, but be highly suspicious if we stall and cannot make new highs. 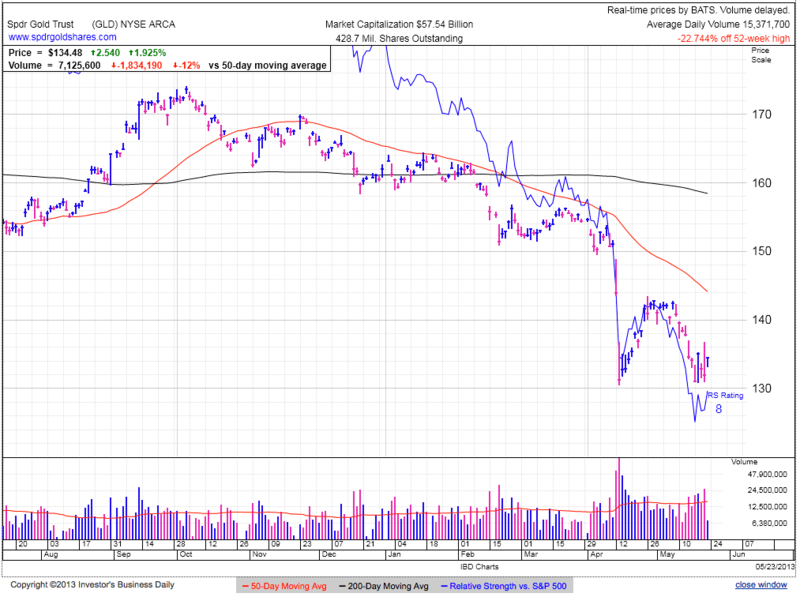 AAPL continues holding the 50dma and shows a larger group of buyers is willing to step in and defend the stock. Previous rebound attempts failed quickly and this stability shows a shifting character. 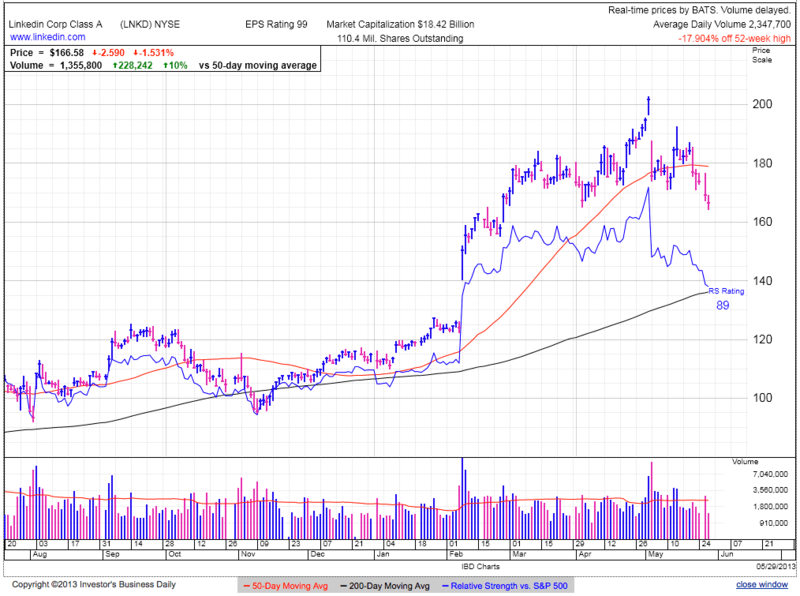 There are many headwinds in front of this stock, but it is acting like it wants to go higher in the near-term. As always, protect yourself with a stop under the 50dma. GLD found a bid after the dramatic events over the last 24-hours, but look for the price to sag when calm and complacency returns in coming days.